Tiger Woods is an American professional golfer. Tiger’s father, Earl Dennison Woods, an infantry officer, baseball player, and writer, was born in Manhattan, Kansas, to African-American parents. 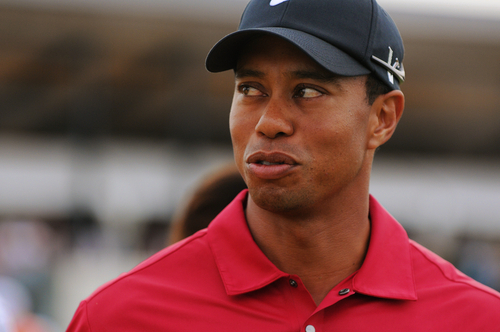 Various family rumors have stated that Tiger’s father had Native American and/or Chinese ancestry. It is not clear if this ancestry has been verified/documented. Tiger’s father’s recent ancestors are all listed as “Black” on United States censuses. Tiger’s mother was born Kultida Punsawad, and is from Thailand. Tiger’s maternal grandfather was Thai, and Tiger’s maternal grandmother had a Dutch father and a Chinese mother. Tiger is a practicing Buddhist. Tiger has two children with his former wife, Swedish model Elin Nordegren. Tiger’s paternal grandfather was named Miles Woods (the son of Katherine). Miles was born in Louisiana. Tiger’s paternal grandmother was Maude E. Carter (the daughter of Lewis/Louis Carter and Hattie). Maude was born in Kansas. Lewis was the son of Valentine Carter and Amanda. ITs funny how when he acknowledge he was not just black how a lot of blacks were offended. His mother is Thai, dutch and Chinese… how disrespectful it would have been for him to ignore his moms heritage like that.. his own heritage. Some people are so ignorant in their attempts to make this society in 4 races. A lot of us are multiracial. He could pass as Cambodian, Filipino, or Malaysian. He looks Asian & Black to me, like what he is.